Track Child functions as a central database of all those children who have gone missing. The portal will aid coordination between child homes, police departments and state governments. NEW DELHI: Aadhaar cards of over 30,000 children living in child care institutions have been linked to the Track Child portal in a bid to bolster the information base on the number of children under institutional care amid reports of children going missing from shelter homes, an official said. Track Child functions as a central database of all those children who have gone missing in different parts of the country. The portal will aid coordination between child homes, police departments and state governments. The government is linking Aadhaar card with the children in child care institutions to bolster the information base on the number of children under institutional care and a total of 30835 Aadhaar card numbers have been linked till now, according to a Women and Child Development official. There are a total of 261566 children living in over 9000 CCIs across the country. According to the official, Aadhaar enrolment procedure by child care institutions at times have led authorities to finding parents of the child as during enrolment it was found that children already had an Aadhaar card which had their address. The aim of linking the Aadhaar to Track Child is also helping in finding the child who had gone missing from child care institutions as if the child is tried to enrolled somewhere his whereabouts would become known. "The Ministry has asked all the stakeholders to ensure Aadhaar registration of children in all CCIs. Necessary action is been taken by the state governments as reported by them at various platforms. 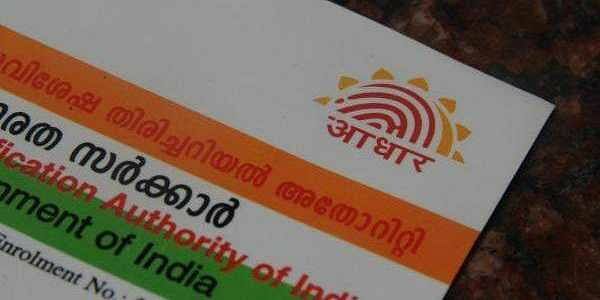 There is already a provision of entering Aadhaar details of a child on the TrackChild Portal," the official said. The details come amid reports of children going missing from child care institutions. About 18 girls were recently reported missing from a shelter home in Deoria where reports of alleged sexual harassment of girls surfaced. As reported by National Crime Record Bureau (NCRB), a total of 68,874, 60,443, and 63,407 children were reported missing during the year 2014, 2015 and 2016 respectively.